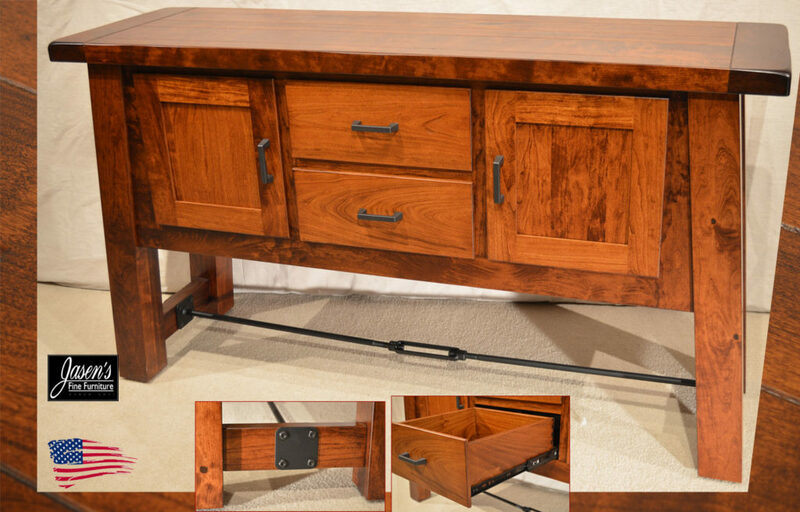 Amish Rustic buffet is distressed yet functional and beautiful. 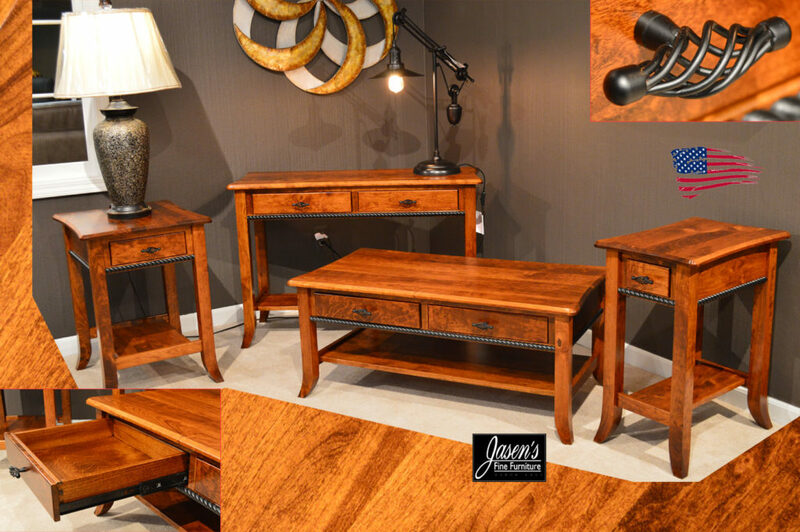 The buffet is the perfect companion for the Barn Floor Table! Styling of the buffet features planked top in addition to wrought iron turnbuckle. 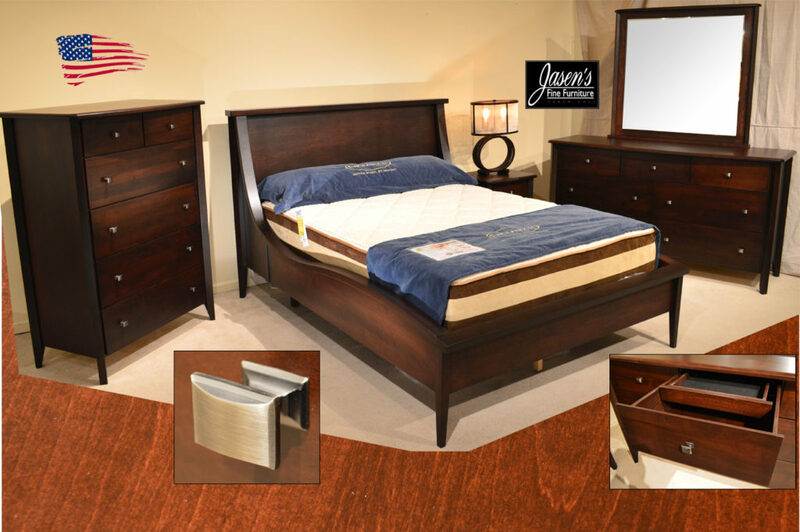 Furthermore, full extension drawers are standard and very durable. 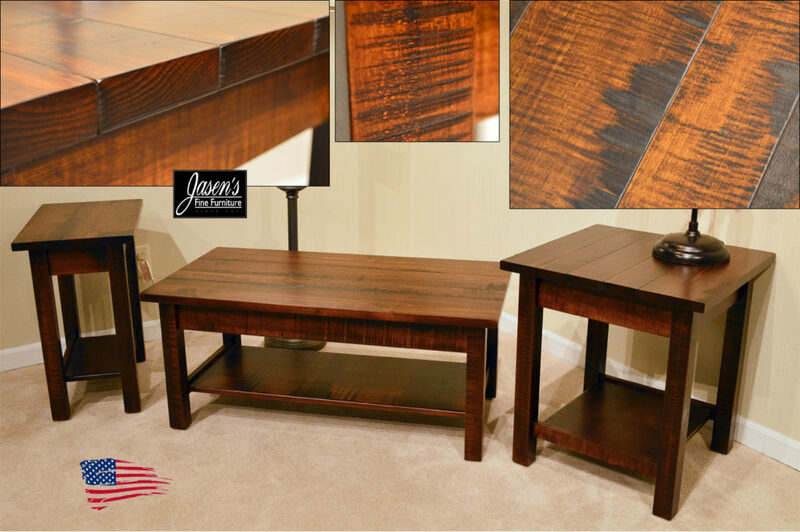 This rustic yet practical server table will impress with it’s deep color. The finish used is a result of timeless cherry tones. 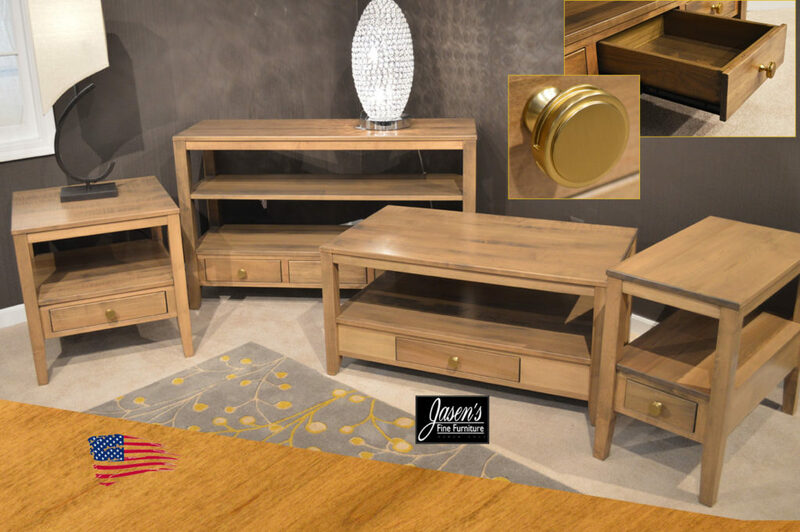 The server is also available in many different sizes, stains and wood species. 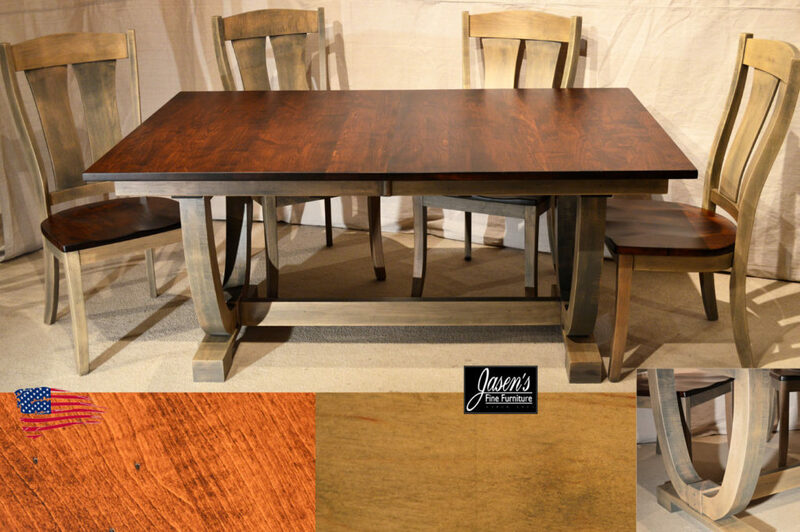 Rustic styling of the table consequently includes hewn edge, square legs, and iron accents. 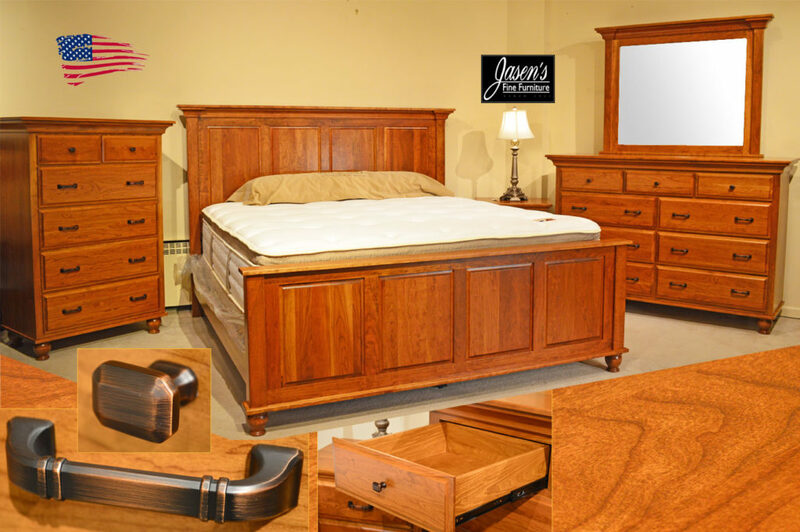 Shown in solid rustic cherry with 1″ top while also available in other shapes as well. 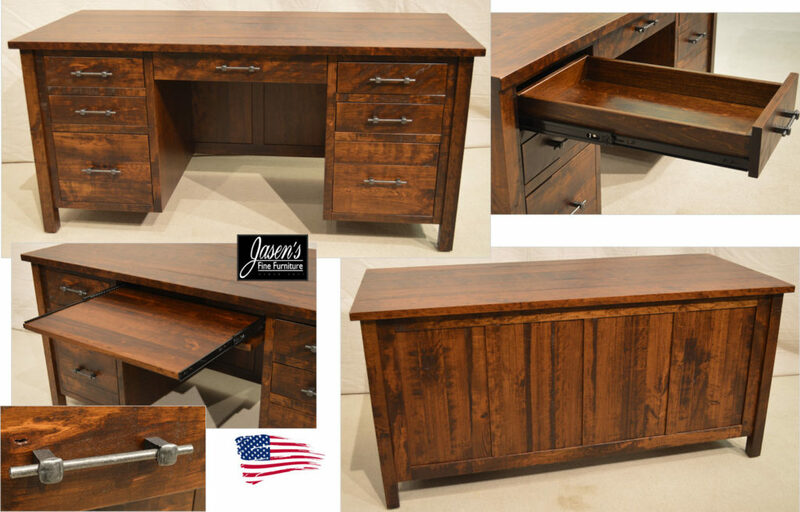 The server is handcrafted by the Amish, hence it is made in the USA! Buffet size: 34.5″h * 60″w * 18″d. 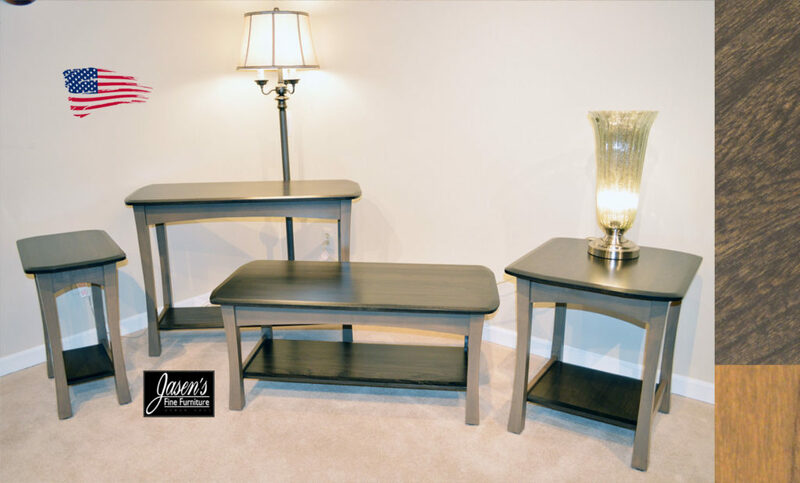 Amish Plymouth table features clean yet square styling. Clean styling of the table consequently includes square edge, square legs, and Onyx Slate combo. 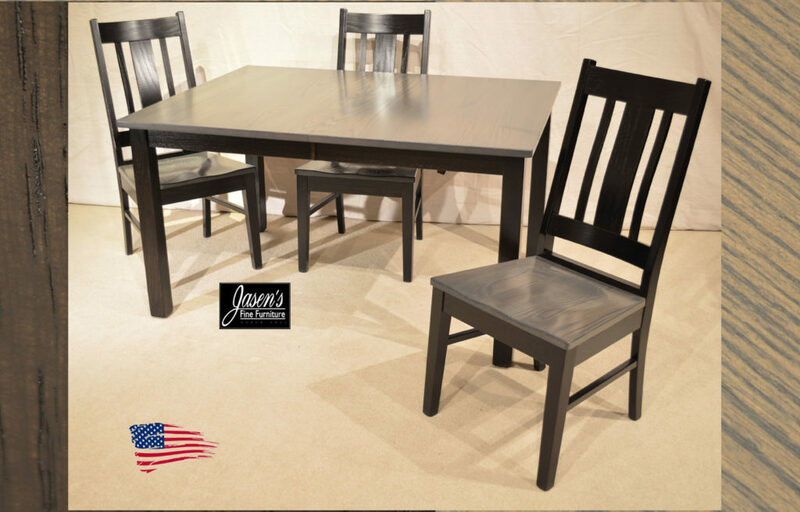 Table size: 42″ * 54″ * 30″h. Extends 65.5″-77″ with two leafs.